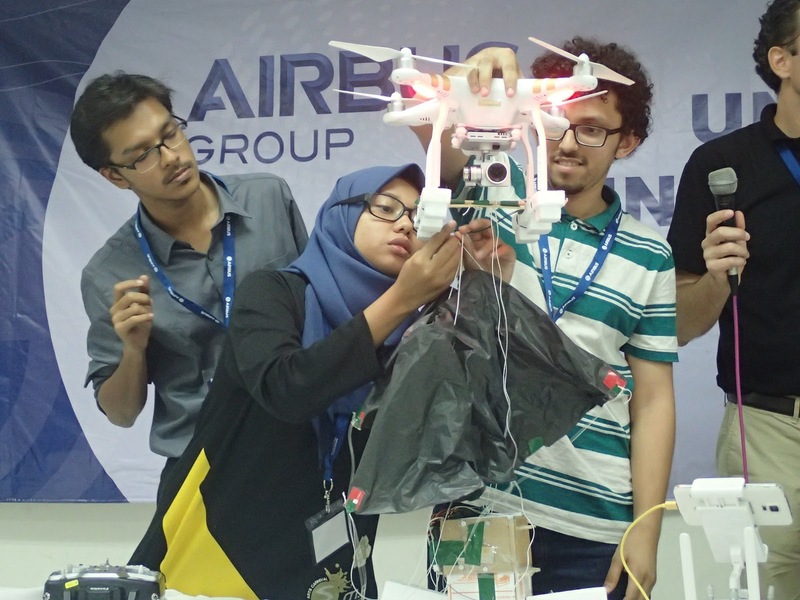 Kuala Lumpur, 16 November – Engineering students from four local universities have put to the test their academic skills at the Universities Innovation Fun Day organised by Airbus Group in Malaysia. The champion team from University Teknikal Malaysia Melaka (UTeM) won prize money of RM3,000, individual plaques and certificates of participation. Finalists of the Universities Innovation Fun Day with Airbus Group in Malaysia. Airbus Group invited over 20 public universities to participate in the Universities Innovation Fun Day. 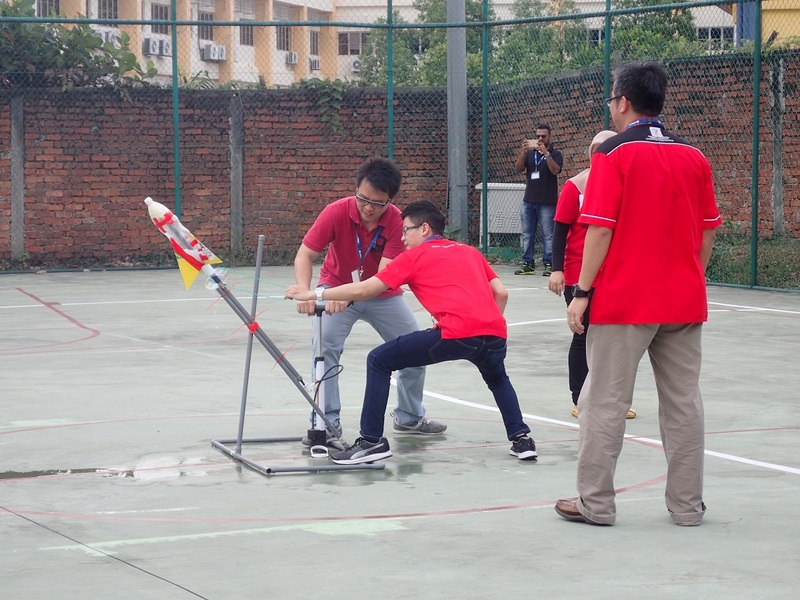 To qualify for the finals, participating teams had to submit a 3-minute video depicting a mission to carry a payload (raw eggs) in the air for a distance of 50m and to release the payload above ground 1.5m to a targeted area of not more than 20cm by 20cm. 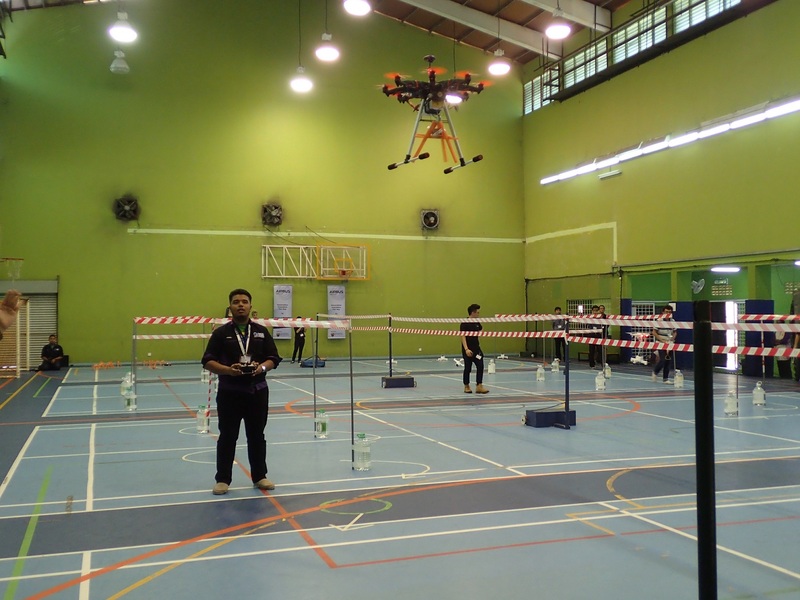 Team from University Teknikal Malaysia Melaka (UTeM) undertaking Mission 1 - where they had to secure and deliver a package using drones. How far can this go? 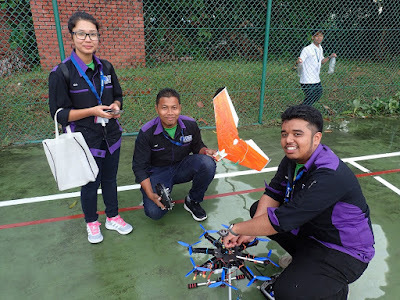 The team from University of Malaya launching their aircraft. Finalists comprised teams from University of Malaya, International Islamic University Malaysia, University Teknikal Malaysia Melaka and University of Technology. The team from University Teknikal Malaysia Melaka took home the winning prize of RM 3,000. Team International Islamic University Malaysia explaining to the judges how their drone would work. Team University of Technology Malaysia presenting their concept for Mission 3. 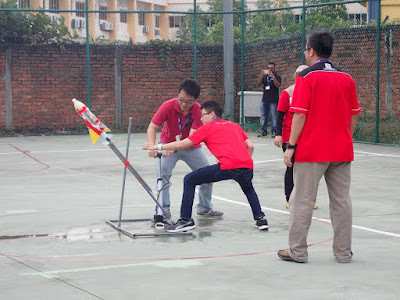 The event was hosted by University of Malaya at its Faculty of Engineering. Team University Teknikal Malaysia Melaka all ready to go. Cheers! The finalists of the Universities Innovation Fun Day with Airbus Group in Malaysia with their supporters, the judges and executives from Airbus Group. The drone from University Teknikal Malaysia Melaka (UTeM) undertaking the Secure & Delliver Package Mission. The drone from one of the teams attempting to pick up a package. 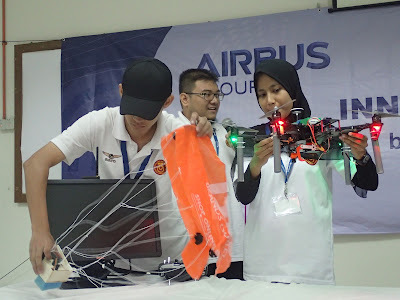 “The Universities Innovation Fun Day by Airbus Group in Malaysia aims to encourage engineering students to build a passion and appreciation for Science, Technology, Engineering and Mathematics, fundamental for Malaysia to build its future aviation and aerospace industry."